Please feel free to use and adapt this material for faith communities developing a mental health ministry. I originally wrote this as a class assignment at Fuller Theological Seminary – a multi-denominational Christian seminary. Early 2015, I edited the language to make it more inclusive. Honestly, NAMI FaithNet has spent years developing programs, so I would recommend starting with them. I just wrote a training manual as a class assignment. That said, you may find something of interest here. Train ministers to educate and empower faith communities to develop ministries for and with those who have mental illness and their families. Closely examine your congregation’s basic theology. If it espouses the mistaken and misguided notion that mental illness is God’s punishment for sin, it will be difficult, if not impossible, to develop a mental health ministry. Develop a relationship with the senior clergy to build trust and approval. The senior clergy’s approval is necessary for a faith community to have a successful program, for he/she is the gatekeeper to the community. To understand, genuinely care and support persons with mental illness, the clergy must attempt to enter their lives by carefully listening. To promote this understanding and reduce the stigma surrounding mental illness, make the issue tangible by giving your senior clergy (and later stakeholders) a personal testimonial. Include the importance faith has played in recovery or in the ability to cope. My struggle with mental illness began when I was 18 and a freshman at UCLA. I became severely depressed and suicidal, believing that my family, and in fact the entire world, would be better off without me. From 18 to 30 years of age, my treatment consisted of intermittent psychotherapy, with no psychotropic medications. At 30, I suffered a breakdown primarily characterized by major depression, with one week of mania in which speeding through my mind were thoughts concerning the Christian mystics, chaos theory and binary language. For the first time, I received medical help, but as if I was depressed, not manic depressive. Until I was 39, I was treated with antidepressants. Then, the manic symptoms returned, and I sought help. From that time on, I have been treated for bipolar illness. Form a committee to lead the effort to support persons with mental illness and their families. Carefully choose committee members, for the survival of this ministry program is dependent on this committee. Members of this committee must be mutually supportive, reliable and diligent. Include those experienced with mental illness – persons with mental illness, family members and/or health professionals – and one or two leaders in the faith community with no previous involvement with mental illness. People with mental illness, like other people of faith, look to the faith community for compassion and understanding. To communicate acceptance and understanding, when speaking or writing about any disability, use what is called “People First Language” – refer to the person first, rather than that person’s condition. The faith community must help stamp out the use of such demeaning terms as “crazy,” “lunatic,” “nut,” or “psycho,” and discourage the use of the words “victim,” “afflicted with”, and “suffers from.” These are terms that evoke pity, and other negative images, which people with mental illness do not want. Present congregants with basic facts regarding major mental illnesses to increase their understanding and compassion for people with mental illness. Counter the myth of family causation by providing current scientific findings regarding mental illness. Emphasize the need for spiritual healing for the individual and the family, without focusing on the “cure” of the illness. Promote workshops and forums in your congregation by calling your local National Alliance on Mental Illness (NAMI.org) to educate members. Include articles and/or brochures in newsletters and other publications of the faith community. Ask clergy and laity to preach on mental illness and/or to offer prayers for all persons with mental illnesses, especially those lost to their families by suicide, homelessness or imprisonment. Collaborate in consciousness-raising with other denominations, social service agencies and consumer organizations. Place books, literature and videos on mental illness in your faith community library and brochures and other literature on mental illness in literature racks. Plan special observances during Mental Illness Awareness Week (first week in October) and Mental Health in May. Have a day of commemoration for people who have mental illness. Stigma erodes confidence that mental disorders are real, treatable health conditions. Mental illnesses include schizophrenia, schizoaffective disorder, bipolar disorder, major depressive disorder, obsessive-compulsive disorder, panic and other severe anxiety disorders, autism and pervasive developmental disorders, attention deficit/hyperactivity disorder, borderline personality disorder, and other severe and persistent mental illnesses that affect the brain. Mental illnesses can profoundly disrupt a person’s thinking, feeling, moods, ability to relate to others and capacity for coping with the demands of life. Mental illnesses are biologically based brain disorders. They can affect persons of any age, race, religion, or income. They cannot be overcome through “will power” and are not related to a person’s “character,” intelligence, personal weakness, or poor upbringing. Without treatment the consequences of mental illness for the individual and society are staggering: unnecessary disability, unemployment, substance abuse, homelessness, inappropriate incarceration, suicide and wasted lives. The economic cost of untreated mental illness is more than 100 billion dollars each year in the United States. Mental disorders are the leading cause of disability (lost years of productive life) in the North America, Europe and, increasingly, in the world. Schizophrenia is a devastating brain disorder that affects approximately 2.2 million American adults, or 1.1 percent of the population age 18 and older. Schizophrenia interferes with a person’s ability to think clearly, to distinguish reality from fantasy, to manage emotions, make decisions, and relate to others. When not treated, schizophrenics often suffer from delusions and hallucinations. Delusions are irrational and bizarre thoughts and interpretations of nonexistent events. Hallucinations involve seeing, hearing, feeling or tasting things that do not exist. Bipolar disorder, or manic depression, is a serious brain disorder that causes extreme shifts in mood, energy, and functioning. It affects 2.3 million adult Americans, or 1.2 percent of the population, and can run in families. Bipolar disorder is characterized by episodes of mania and depression, sometimes at the same time, that can last from days to months. 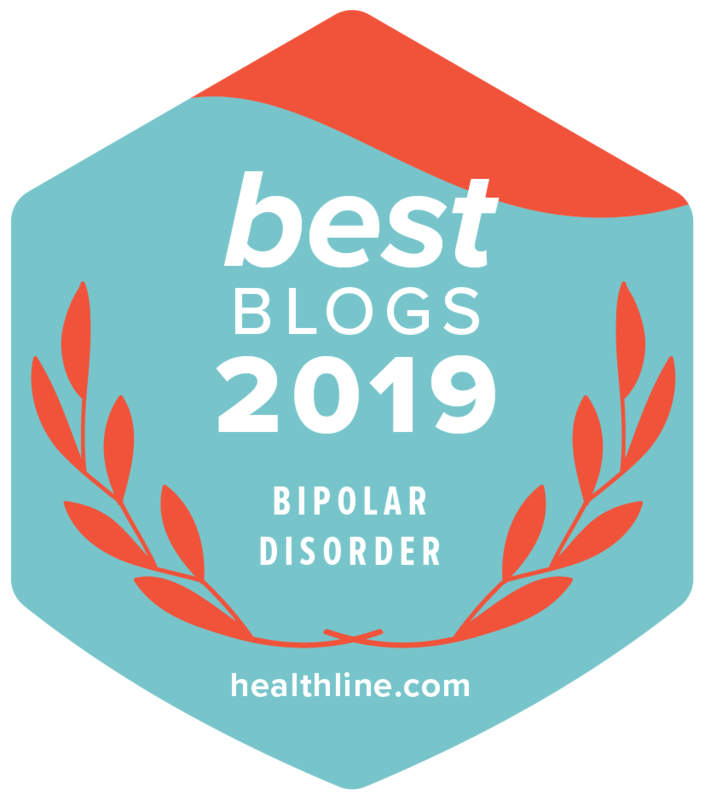 Bipolar disorder is a chronic and generally life-long condition with recurring episodes that often begin in adolescence or early adulthood, and occasionally even in children. It generally requires lifelong treatment, and recovery between episodes is often poor. 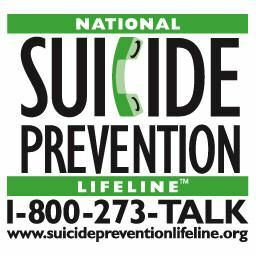 Twelve percent of those with schizophrenia or manic depression die by suicide. More than twice that many attempt suicide. Suicide attempts usually occur mainly in the early stages of the illness or during the first few weeks after discharge from a psychiatric hospital. Major depression is a serious medical illness affecting 9.9 million American adults, or approximately 5 percent of the adult population in a given year. Unlike normal emotional experiences of sadness, loss, or passing mood states, major depression is persistent and can significantly interfere with an individual’s thoughts, behavior, mood, activity, and physical health. More than twice as many women (6.7 million) as men (3.2 million) suffer from major depressive disorder each year. All ethnic, racial and socioeconomic groups suffer from depression. About three-fourths of those who experience a first episode of depression will have at least one other episode in their lives. Some individuals may have several episodes in the course of a year. If untreated, episodes commonly last anywhere from six months to a year. Left untreated, depression can lead to suicide. Those with mental illness need to feel accepted in the faith community, to have responsibility and the opportunity to contribute and to experience God’s presence in their lives. To meet these needs, a congregation must accept those with mental illness in the same manner that they accept those without a mental illness and give support to them in the same manner as they support those with a different illness. Reach out to persons with mental illness and their families by visiting them in their homes, hospitals or in supportive living arrangements in the community. Support individuals who are experiencing mental illness, as well as their families, through visitations, prayers or counseling. Develop a resource and referral network so that persons with mental illness and their families can be directed to the proper community services or support groups. Help combat stigma by objecting to the stereotyping of persons with mental illness. Tactfully correct misunderstandings about mental illness by friends or relatives. Provide space for support groups to meet, both for people who have experienced mental illnesses and their family members if they are more comfortable in their own faith community, rather than an outside support group. If and when needed, offer transportation to faith community events, respite care for family members or help with daily activities, such as grocery shopping or paying bills. Encourage members to join mental health advocacy and support groups and to serve on community boards and citizen advisory boards. Match new families experiencing mental illness with “veteran” families in your congregation, especially with veteran families who share similar circumstances such as the same illness in a relative who is ill.
Support these families with sympathetic listening, prayer, offering respite if you can, and inviting them to Alliance for Mental Illness meeting. Refrain from offering simple solutions. Other families in your congregation may be suffering quietly and may believe they are alone. Use your names and give your telephone numbers in all congregational notices or events sponsored by your congregation. There you are the ministers. Let other families know how to reach you and be available to them. Work with appropriate committees in your diocese or congregation to address the concerns and needs of persons with mental illnesses and their families. Submit resolutions to the area and national faith community conventions calling for the faith community involvement in this area of ministry to people with mental illnesses and their families. Consider offering grants and scholarships to financially sponsor special programs and local services for people with mental illnesses and their families. Offer presentations – by your congregation or co-sponsored with interfaith groups or the local National Alliance for Mental Illness – to local denominational institutions of clergy training (seminaries, divinity schools). Ask for inclusion of severe mental illness as part of the official curriculum of these institutions. Encourage faith community ministries at local soup kitchens, shelters and group homes throughout the year. Be open and supportive to community-based residential facilities coming into your neighborhoods. Attend meetings or hearings to learn how you, as a neighbor, can be supportive of people moving into the facility. Foster a local ecumenical approach to the needs of the persons with mental illness and their families in your neighborhood. Coordinate efforts and programs with those offered through community services or other faith community related agencies. As an employer, be open to offering low-stress employment to persons who are recovering from mental illness or will continue to be ill and require low-stress employment. Advocate for better community resources and increased funding for research into mental illnesses. Sponsor socialization drop-in centers using faith community facilities. Members of the congregation should be encouraged to volunteer in these programs and can be “paired” as companion/helper with individual clients. Work cooperatively with government, social services agencies and denominational offices in establishing housing facilities for people with mental illnesses, as has been done for the aged population over the years. Help establish shelters and programs for persons with mental illnesses. Even more important is congregational involvement in making shelters unnecessary by providing affordable housing and community support programs. Offer a lay training program to equip members of religious groups to serve as companions, volunteers in community programs, advocates, and/or leaders in local ministry efforts. Sponsor a group home/apartment, etc. and have various groups of the congregation working with the group home/apartments administrators around resident’s individual and group social and recreational needs. Mental health ministers and agency staff could exchange names, addresses and phone numbers for sharing newsletters and alerting each other to events of mutual interest, support group meetings, health issues, and common concerns. Make available agency brochures, flyers and posters for educational or community events within your faith community. Offer faith community space for agency programs. Agency clients engaged in vocational rehabilitation could work in supervised clerical, janitorial, or other positions at faith community. Develop regular social or friendship programs – parties, drop-in-center, dances, social clubs, companionship programs – for participation by agency clients and faith community members. Offer group pastoral counseling sessions at mental health agencies. Establish chaplaincy programs in agencies. Where transportation resources are limited, offer cooperative volunteer transportation services. Assist with cooperative home placement efforts for clients. Provide cooperative job finding efforts for clients. Jointly sponsor educational programs in congregational, denominational, interfaith and community groups. Develop joint task force to advocate for needed resources. Enable faith communities to supply hope and help to those affected by mental illness by presenting this issue to our seminaries. Contact a seminary by writing a letter or speaking to members of its board of directors, faculty and/or administration. Testify that your faith has played a crucial role in your ability to cope with the challenges of having a mental illness yourself and/or caring for someone with one of these disorders. Explain to them how important it is to relate to a clergyperson who through understanding the effects of mental illness can empathize with you as you meet your daily challenges. Tell them that 10% of their faith community will likely have a mental illness and 20% will probably have an immediate family member with a brain defect, which leads to one of these disorders. Stress the benefit of clergy being educated about mental illness while in seminary, rather than clergy receiving on-the-job training. Ask your clergyperson to write a letter to his or her seminary urging the inclusion of a course concerning mental illness and the effects of these disorders. Offer specific prayers for those suffering from schizophrenia, bipolar disorder, anxiety disorders, depression, and other mental illnesses. There has been a history of misguided prayer. Mental illness is not demon possession or God’s specifically giving us a “cross to bear” or a sign of God’s lack of love for us. It is a disease, like any other disease. The healing prayers should reflect the biological nature of the illness just like any other disease. We should pray for a healing and continue with sound medical practices. Let the people in your faith group know that the community prays for and cares about people with mental illnesses. Send a welcoming message to those who have mental illnesses and to their family members – the message that their community supports and loves them. Healing services should always include mental illnesses. Give a clear sign to people in your faith community that all forms of illnesses are valid and worthy of concern. Explain to pastoral ministers to communicate with a person hospitalized with a mental illness just as they would with people suffering from any other illness. Do not assume persons with mental illness or their families do not want visitors. A hospitalization for a mental illness is a traumatic time for the person and his or her family. It is an important time for ministerial presence. As with any major disease, the person and family will have questions about God, faith and “why me.” Pastoral presence and support will help them to understand and accept. Being accepting, friendly, understanding and genuine? Praying for those who are experiencing a mental illness the same as for other illnesses? Visiting and calling on the individual experiencing mental illness and offering assistance? Offering support and love to the parents or family of the individual, by inquiring about their family member’s health as one would for anyone who is ill? Listening and talking with the individual experiencing mental illness? Encouraging clergy, lay staff and congregational members to learn about mental illness? Raising awareness of mental illness in sermons, bulletins, and newsletters? Adding books and other publications to the congregation’s library? Becoming familiar with local mental health services and support groups? Hosting a group of people from a local residential facility? Sponsoring support groups for individuals experiencing mental illness and/or their families? Working with other faith communities and organizations, such as the Mental Health Association and the National Alliance for the Mentally Ill? Supporting efforts to obtain appropriate housing and jobs? Not letting false, stigmatizing and discriminatory statements about mental illness go unchallenged? Supporting adequate state and local budgets for mental health services? Giving money for research into the causes and cures for mental illness? Does the congregation undertake a ministry to, ministry with, and ministry by persons experiencing mental illness and their families? Are persons experiencing mental illness and their families invited to serve as officer bearers and on committees? Kitt, thanks for all you are doing! One thing I think inhibits people from “equal” service to people who are hospitalized w/ mental illnesses is the hospital practice of limiting visits to people on an approved visitor list. I’m not sure I really agree with this practice, although I guess I understand why it’s done. There are many problems with the way we do psychiatric hospitalizations. Kitt, This is fantastic. Going to print it out for my husband who is a clinical social worker but did religious studies, like you, although not for the ministry. You have so much to offer NAMI and all the mental health world. Thank you!! I mean Ellen. Originally I thought of you as Stockdale and it’s still stuck in my head. Sorry. It is a nice name, though. This is absolutely excellent. Your blog is full of treasures. This is such a well thought out plan that every church pastor needs to read and implement. Thanks so much for putting this together Kitt – our church is planning to use this. I am so, so glad. That is why I posted it, so that others could use it. Thank you. God bless you. Hi Kitt, this is a very educational doument. I, and many of my homeless friends, suffer from mental disorders. It is imperative that these disorders are understood by the police, other agencies of authority and the general public. We do not live in a one-size-fits-all world. I agree wholeheartedly. Hopefully we can educate those first responders so that they will be informed and compassionate, rather than fearful and confrontational.